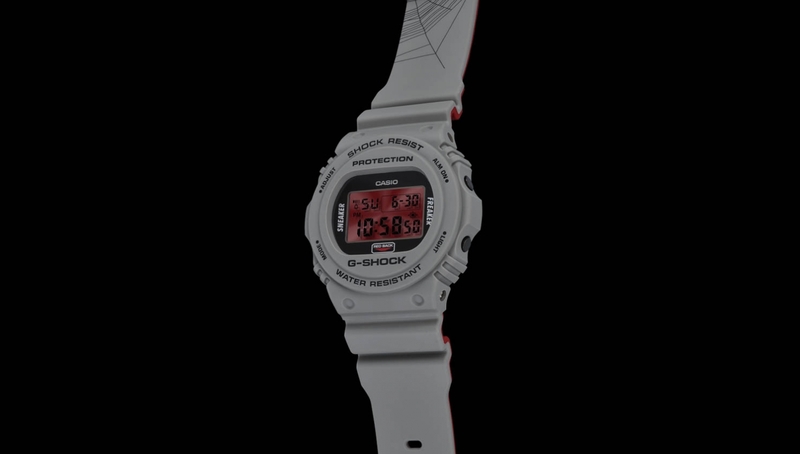 The new Redback DW-5700 watch design was inspired by one of Australia’s deadliest arachnids. 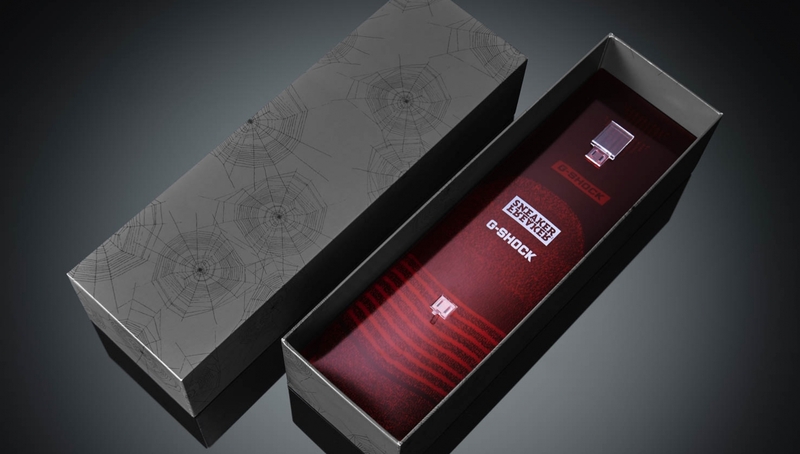 The redback spider is a notorious and prolific inhabitant of outback shacks and dark suburban nooks. 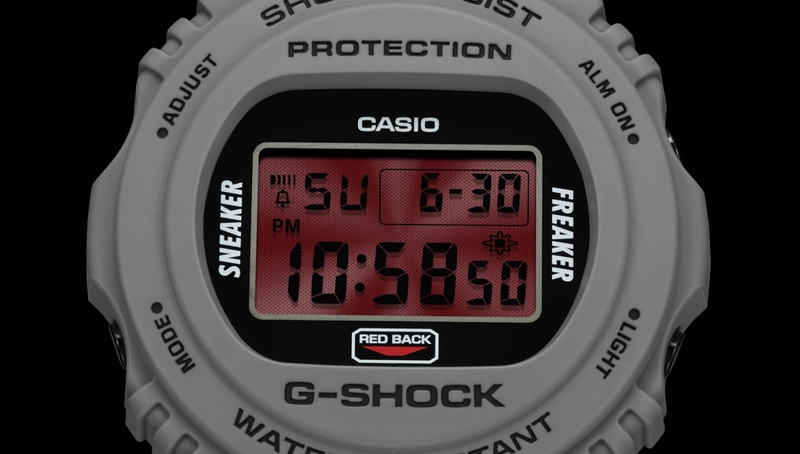 Despite their small stature, the female spider’s deadly neurotoxin can prove fatal to humans.The undoubted highlight is the blood-red LCD screen. 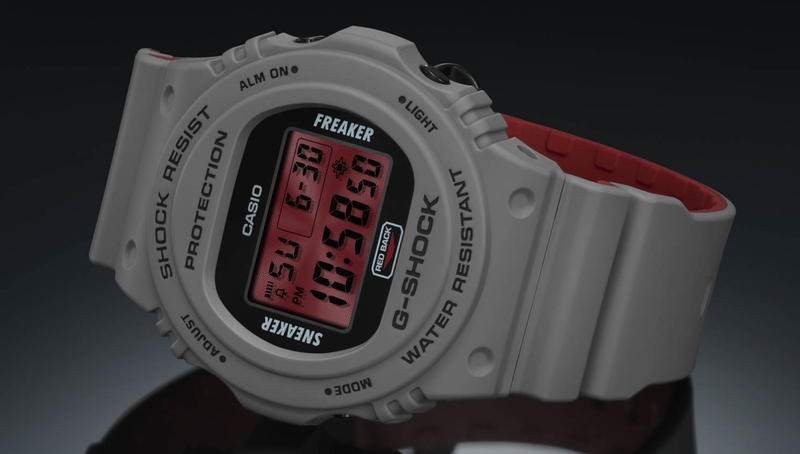 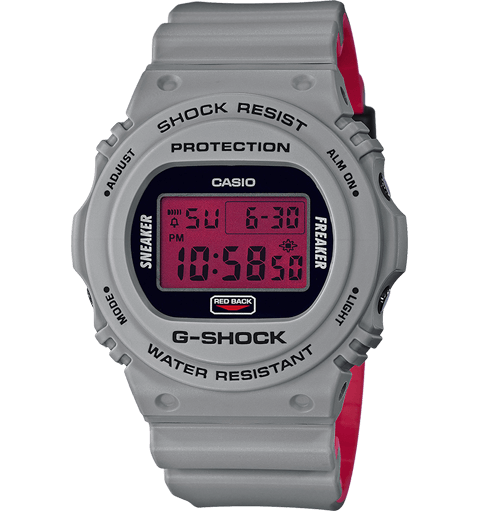 Known by G-SHOCK fans as the “Vampire” display, this unique feature has only appeared a few times in the past. 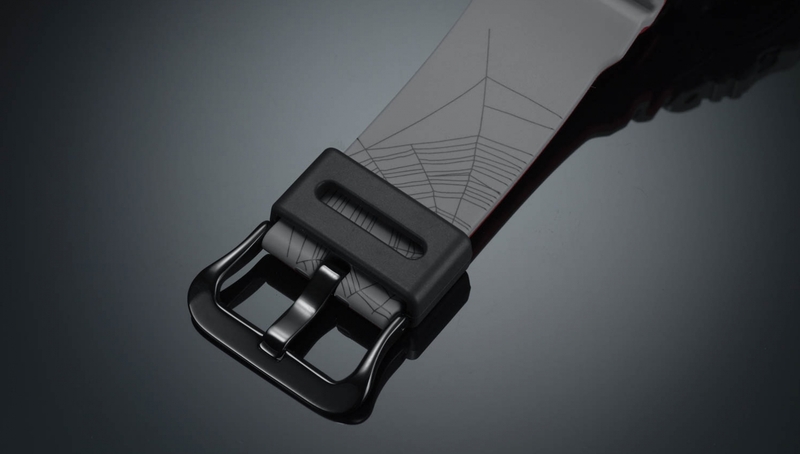 ... the branding, clasp and keeper are accented in metallic black. 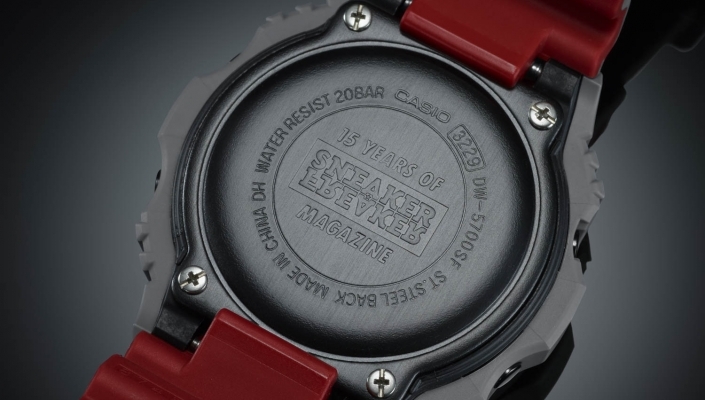 Debossed with Sneaker Freaker’s logo, the back plate is also treated with black ion plating. 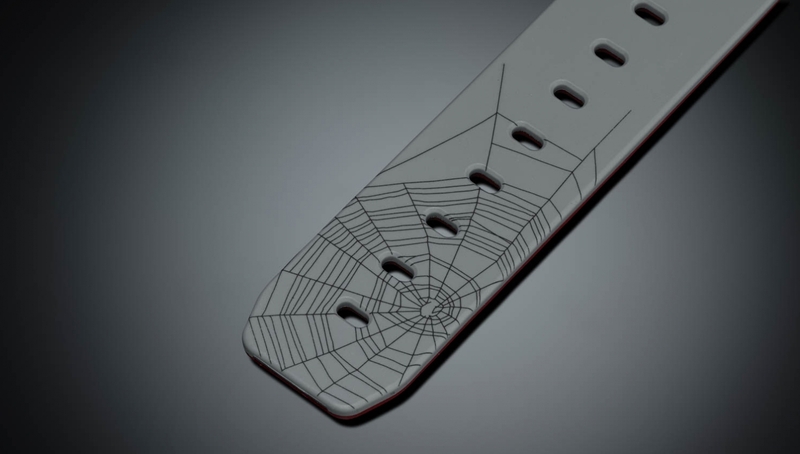 Flipping the two-tone strap from grey to red mimics the spider’s natural livery, while the spindly cobweb design around the clasp adds a subtle thematic touch to the strap. 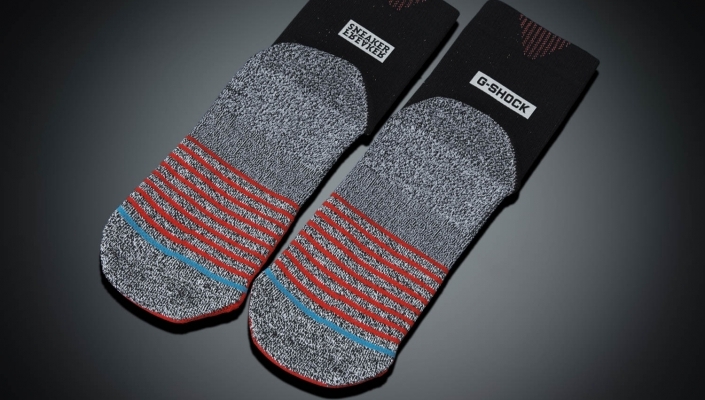 As an added bonus, STANCE was also tapped to contribute its creativity to the project. 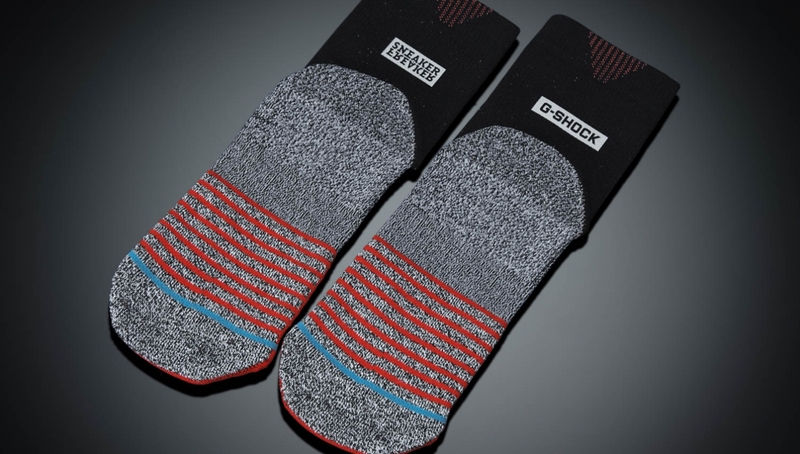 Known for its ground-breaking approach to sock construction, STANCE supplied a pair of their high-tech Ventron foot covers to the Redback ensemble.